The Anglesey elongated flushometer bowl is precision-engineered to meet the challenging demands of today's commercial bathrooms. 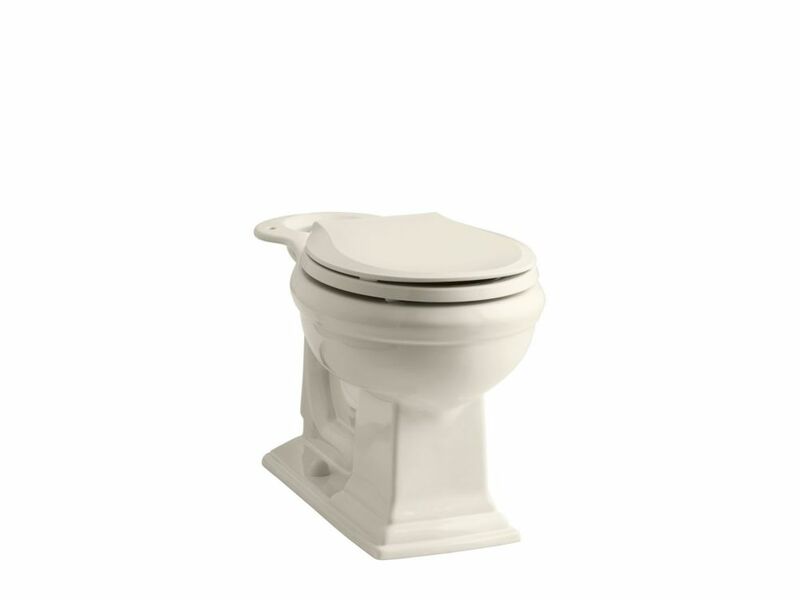 This bowl features a 1-1/2" rear spud, integral seat, angle back, and wall outlet. Memoirs Comfort Height Round Toilet Bowl Only In Biscuit With a design inspired by elegant architecture, this toilet bowl from the Memoirs collection adds versatile style to your bath or powder room. It can be combined with a wide range of Memoirs tanks for a customized toilet. The round front bowl is positioned at a convenient height for comfort and ease of use. Memoirs Comfort Height Round Toilet Bowl Only In Biscuit is rated 5.0 out of 5 by 1. Rated 5 out of 5 by HomeDepotCustomer from Everthing works fine. Just need to get use to flushing... Everthing works fine. Just need to get use to flushing noise.